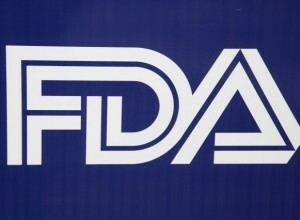 FDA Fast-Track Process to Blame for Medical Device Recalls? Did you know that 70% of all medical devices recalled since 2005 were approved by the FDA through a “fast-track” system that ultimately permits the manufacturer to provide minimal data in regards to safety and effectiveness? This means that approximately 3 out of every 4 devices were FDA approved despite presenting serious threats to you or your loved one.These potential threats include injury or even death. It is estimated that only 1% of medical devices actually go through the comprehensive premarket approval process (PMA). Approximately 80 out of 113 medical devices snuck onto the market via the FDA’s 510(k) process that allows medical device manufacturers to produce and sell products as long as they appear equivalent to other already approved designs. In addition, approximately 12% of the recalled medical devices that were previously approved through the 510(k) process were for high risk complications despite this process being reserved for products that present a low or moderate safety risk only. Even more disturbing is that 8 medical devices were not evaluated at all before being made available to consumers! The Government Accountability Office (GAO) conducted a study in 2009 revealing that the FDA heavily relies on the 510(k) process when the tested medical device should undergo the intricate PMA process. So it was shocking in January 2011 when the FDA announced it wanted to restructure the medical device approval process to get new technology to patients even sooner, despite safety concerns. The most popular recalled medical devices are cardiovascular devices, specifically the automated external defibrillator (AED).AEDs are used to give artificial respiration to patients suffering a heart attack. Don’t you wonder how AEDs were approved through the 510(k) process despite the device being used for a high risk and life sustaining purpose? Researchers estimate that 20% of all AEDs have been recalled by the FDA due to device errors that have caused hundreds of deaths. FDA leaders insist that they are trying to improve the precision of device review, but are met with medical device manufacturers who believe that this will repress technological innovations.However, we know that human safety for innovative technology is not a fair trade. If you or a loved one has been injured by a medical device, such as an AED, please call our office at 1-800-391-8000. The experienced lawyers at Parilman and Associates may be able to help you and will fight to get you the compensation you deserve. This entry was posted in Blog and tagged dangerous medical devices, defective medical devices, defective medical products, defective products. Bookmark the permalink.